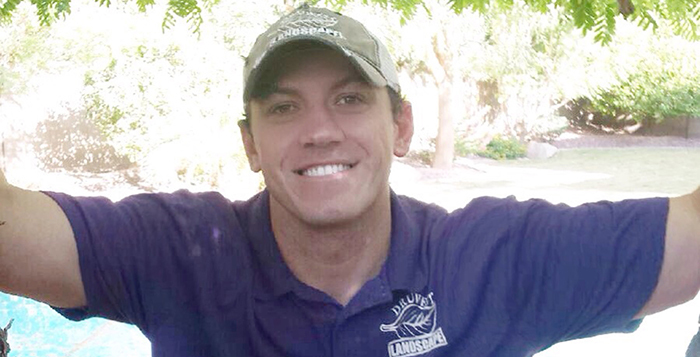 Arizona native Michael Drunasky is the owner of DruWest Landscape and coaches youth sports teams in Maricopa. Pet peeve: 4-way stop signs… It’s not automatically one car and then you! Words to live by: If you’re going to be thinking anyways, you might as well think big. Anything else we should know? I try to be as involved in the community as possible. I’m an assistant football coach at Sequoia Pathway and I started the wrestling program there as well last year. If I’m not coaching there you can find me coaching my son on the Junior Pee Wee D1 football team.